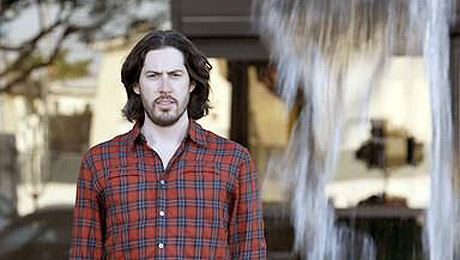 “Nepotism failed me,” director Jason Reitman told the crowd gathered in Wait Chapel on Saturday night to hear his keynote address concluding the 2011 Reynolda Film Festival. Reitman’s 90-minute talk was filled with off-the-cuff jokes about his formative experiences, insider stories, and personal anecdotes about his career. When talking about his childhood, Reitman relayed that he had been on the set of Animal House, which his father produced, when he was 11 days old. His first kiss occurred on-screen in the movie “Kindergarten Cop,” which his father directed. After a brief stint studying for a medical career in college, Reitman’s father told him, “there’s not enough magic in it for you,” and convinced him to follow his passion for story telling. When discussing his attempt to make a living in the movie industry, Reitman proclaimed film festivals as a “strangely democratic” way to break into an artistic career. “Where is the Sundance [Film Festival] for ceramics or sculpture?” he quipped. His success with a short film at a smaller festival landed Reitman his first agent and jobs directing commercials. “I made the worst commercials ever,” Reitman claimed. Reitman made his second film, “Juno,” for $7 million and “it blew up in a way we never expected,” he said, grossing $230 million. When talking about his third and most recent film, “Up in the Air,” Reitman discussed the challenges of making a film about a character who fires people for a living against the backdrop of the nation’s economic recession. The audience, mostly students, was filled with aspiring writers and directors. People with dreams of a career in entertainment identified themselves with a show of hands and several later asked Reitman questions about his process for adapting a book into a movie and how to break into the industry. Past speakers for the Reynolda Film Festival have included Keith Barber, director of “Any Given Sunday;” Adam Burke, an animator with Pixar Animation Studios; and director Spike Lee. The festival was sponsored by WAKE TV, the University’s student-run television station.